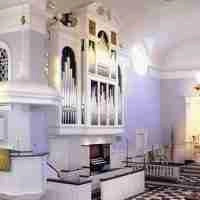 A pipe organ is a complex instrument requiring the combination of many skills in its construction. Most important of all is an overall musical vision to ensure that all the elements, once brought together, form a highly musical organ in all respects. 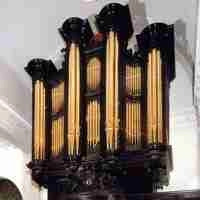 The console of an organ is the organist's contact with the instrument. It has to be designed as ergonomically as possible and also give the organist an immediate impression of the style of the instrument and the resources at his disposal. A finely finished and well-designed console will immediately put any organist at ease and assist them in the performance of their art. Our consoles have a reputation for ease of use, in particular where the instruments are large and could be somewhat unwieldy. Console design is continuously reassessed in consultation with organists in an attempt to satisfy all the differing requirements that organists express. Mechanical key actions can either be balanced or suspended, depending on the layout of the instrument. In all instances, every attempt is made to ensure a sensitive key action and our instruments always employ mechanical coupling, even on the very largest organs such as those at Peachtree Road United Methodist Church in Atlanta and St. Ignatius Loyola in New York. Wooden trackers are made from specially selected cedar wood and in order to ensure their suitability, we cut our tracker material ourselves. All our actions employ self-regulating tensioning in order to ensure reliability and constant depth of touch, even where wide variations in temperature and humidity are experienced. The winding of an instrument is an area the importance of which is often under-estimated. Our instruments always employ traditionally leathered single-rise reservoirs, together with wooden trunking of letterbox construction and concussions built into the soundboards. This ensures a winding that has an imperceptible degree of liveliness to it, giving the organ a natural singing quality that greatly enhances its musicality. We also undertake the restoration of instruments to the highest standards. When instruments are restored, extensive research is carried out in order to ensure that once complete, the instrument reflects faithfully the stage in its history to which it is being restored. We have also amassed a wealth of experience in the particularly demanding area of the restoration of purely pneumatic action instruments. Mander Organs continuously strives to meet and exceed the highest expectation of its clients. Organ building is an art form that requires great patience, meticulous attention to detail and an unfailing determination to excel. These ideals, in combination with the aspirations of the people for whom we build instruments, can only be realised through adherence to the highest principles with regard to material, design and manufacture – principles that have been the foundation of over three-quarters of a century of craftsmanship at Mander Organs.